Photographer, co-founder Detroit Artists Workshop & White Panther Party, Minister of Education White Panther Party. Let’s call it like it lies: There are few images in rock ‘n’ roll as iconic as Leni Sinclair’s seminal MC5 photographs. And, as they say, half of life is just showing up. During the revolutionary-unto-legendary ’60s music and culture explosion in Detroit, Leni Sinclair showed up. And she brought her camera with her. In fact, thanks to the historic explosion of creativity and “do anything” spirit surrounding the MC5, their manager (and Sinclair’s then-husband) John Sinclair, the avant-prolific Artist’s Workshop and Wayne State University’s experimental Monteith College, Leni Sinclair was on hand to document one of only a handful of supernova-sized cultural scenes that the actual living, breathing ’60s cultural revolution birthed. 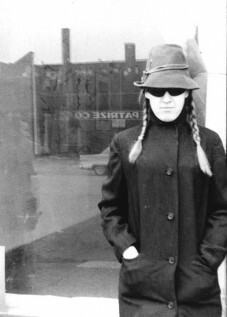 And her photos were an integral part of the myth that grew up around the ‘5, the White Panther Party, Iggy Pop and the idea of “Detroit” that still smolders in the hearts of Cass Corridor rock hopefuls. Now all that’s fine and dandy, but the reality, as Sinclair remembers it, was both a wee bit more pragmatic and romantic at the same time. “And I got involved in a whole lot of things because I was married to John Sinclair,” she says with the air of someone who has told her tale a thousand times to the rock ‘n’ roll curious from around the world. 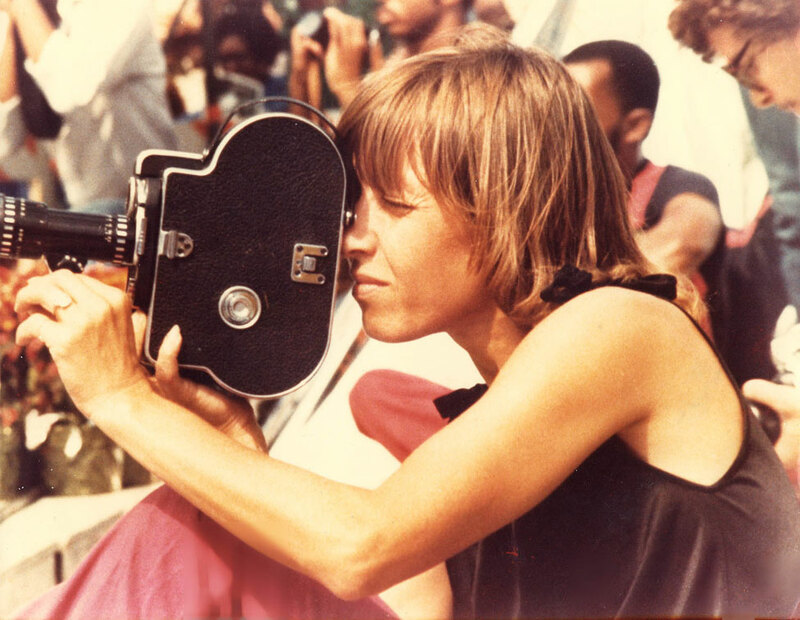 “Getting involved in rock ‘n’ roll and the Grande Ballroom and the White Panther Party and all of that,” — she casually ticks off the list of counterculture touchstones she was present to document. Sinclair’s catalog of 200 envelopes stuffed with disorganized negatives tackle the very heart of the ’60s revolution from salad days to dissolution, taking in political events, music — from Sun Ra to Coltrane, the MC5 to Hendrix — as well as the vibrant arts colony that birthed the Artists Workshop (the 40th anniversary of which is coming up this year). “A lot of things as far as creativity and excitement and making things, I think that was the high point of most of our lives — at least of my life — and it’s like downhill from there,” she says half-ruefully, half-fondly. But it’s the MC5 that still, indeed, elicits enthusiastic responses from fans around the globe. So does it surprise her that her photos of that time still continue to inspire legions of would-be rock revolutionaries (and more than a handful of also-rans)? At the Fun House show this weekend, she’ll be showing her classic MC5 photos as well as several choice shots of the evening’s guest of honor, the former Jim Osterberg. Yet, even as her photos’ ability to inspire grows, Sinclair is hesitant to give herself too much credit. Perhaps no one has let her know that that’s the MO for a majority of fresh-faced music shutterbugs she has, in part, inspired. To be honest, she doesn’t now, nor did she, pay much attention to other rock photogs. 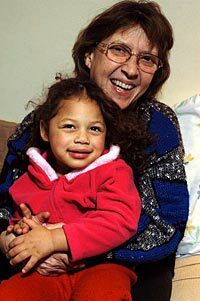 Leni Sinclair with granddaughter, Beyonce Sinclair-Woodard. Indeed, the tragedy of Sinclair’s remarkable career (and it’s one shared by many of the artists and musicians from that productive circle) is that, shockingly, her photos’ iconic stature has not afforded Sinclair the time or money to pursue photography full-time. But even though she’s working into conventional retirement years (her most recent gig selling cable service ended when the company she worked for got bought out), Sinclair remains upbeat. “All I’m hoping for is that I live a long time and my eyes stay good for a long time so I can get done all the work I’ve started. And despite being a mother (and now grandmother) for the last 35 years of her life, she feels lucky to be able to do what photo work she can, which these days also includes landscape works. But she’s never sold one of her landscapes and seems at ease with the idea that she’ll always be known mainly for documenting a special time in rock history. It still doesn’t keep her from worrying over her legacy, though. 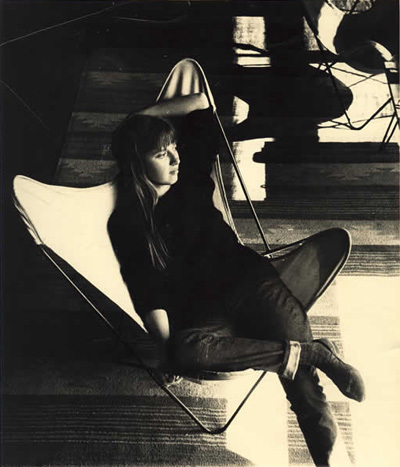 Leni Sinclair 1964. Photo by George Tysh.